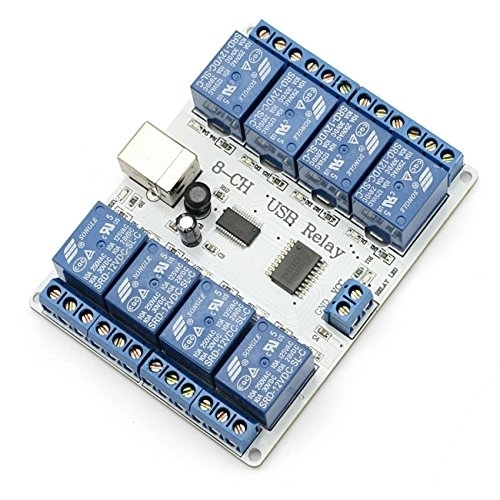 This is USB controlled relay module with 8 relays SRD-12VDC-SL-C. You may use it for simple ON/OFF switching electrical devices - home lights, DC motors, solenodis and others. It may help you building projects like robotics and home automation. Each such board requires one USB port. 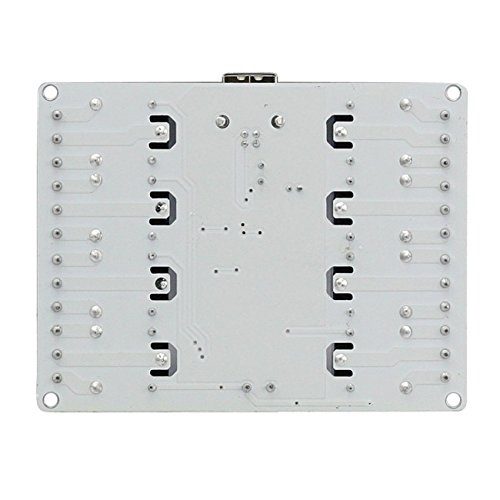 The more USB ports you have the more Relay boards you may connect. 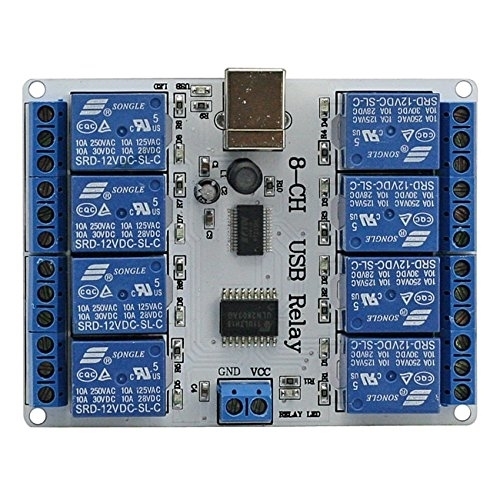 •When the board is connected to the PC and the PC is restarted, the relays will be toggled several times. This is because of the structure of the FTDI chip. 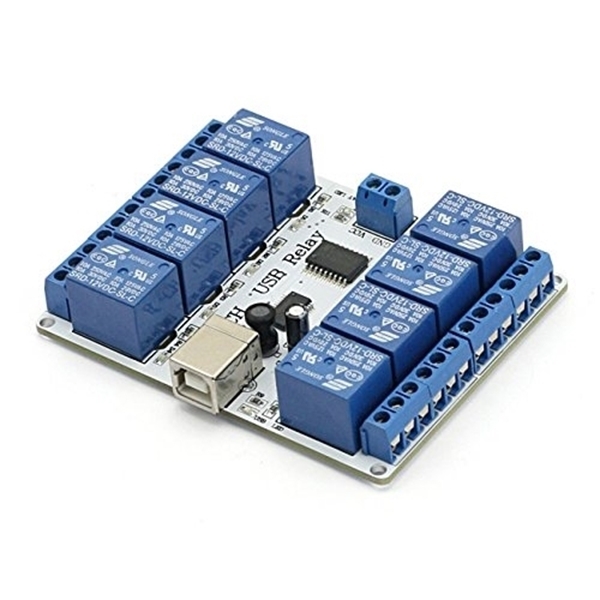 •The device must be supplied with 12 VDC or order to work. •There is no protection against reversed voltage! If the VCC(+12V) and GND are reversed the board will be damaged! •The board can not work without computer.